27 grams of carbohydrate packed into each bar. Made from natural fruit ingredients. Convenient size for fuelling during training or racing. Apple & Blackcurrant flavoured 24 pack of 65g Energy bars for fuelling before and during excercise. Containing fast absorbing carbohydrate (per 65g bar), these can be eaten with or between meals to increase carbohydrate intake as well as a pre exercise snack. 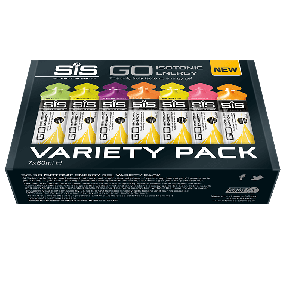 During a race, a commonly used strategy is to take on solid foods like SiS GO Energy bars during lesser intense parts because bars require more blood flow to absorb than other energy products. Aim for 1 bar per hour during exercise and consume with other products to hit 60g of carbohydrate per hour during exercise and drink to stay hydrated. SiS GO Energy bars are not suitable for vegan, coeliac and gluten free diets. 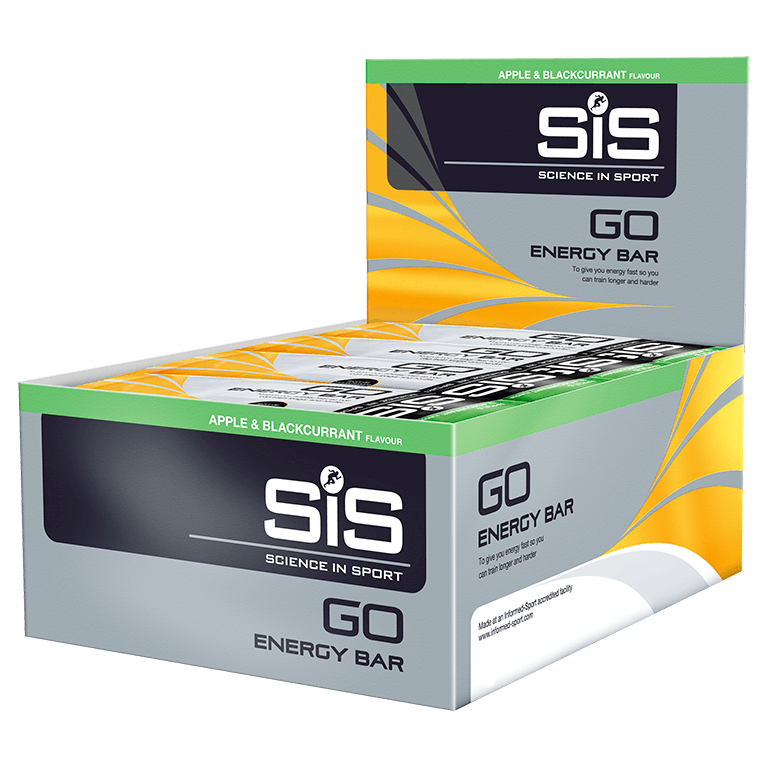 SiS GO Energy Bars (65g) contain 17 grams of sugar from fruit sources, with no added sugar.